Diagonal Crochet Stitch – I love the texture this pattern creates. I fell in love with this pattern immediately. 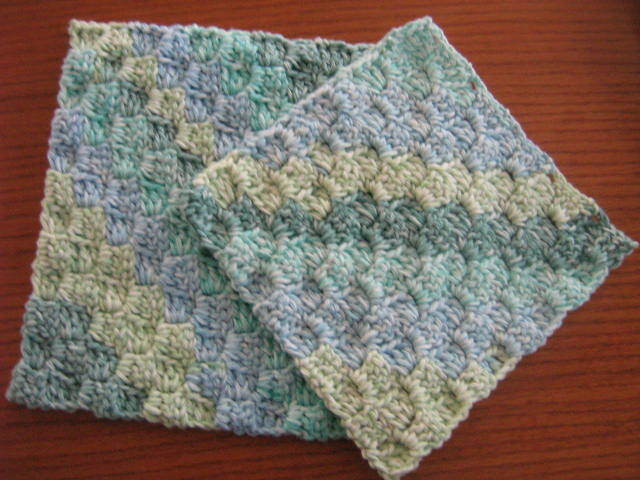 The dishcloths pictured were crocheted with a size “G” hook using Sugar’n Cream Stripes yarn. Once you understand the basics, no paper instructions are needed! This pattern works up so easily and effortlessly, not to mention QUICK! Looks great in solids too! Try and let me know if you like this pattern. Here’s a You Tube video demonstrating the technique.